The original and only source in the industry for Parametric Song Analysis, EWO Songwriting, and Level-3 Critiques from nationally acclaimed instructors who truly care about your success. Take control of your creative process! level of creative control you never thought possible! "LIFE-CHANGING" -- "TRANSFORMATIVE" -- "AFFIRMING" -- "INSPIRATIONAL" -- "MOTIVATING" -- "WOW! (The earlier you register, the larger your discount will be, and you'll guarantee your place. Member discount applies for members of CSA, RISA, NSAI, or Songsalive). described by several as "Life-Changing" , "Transformative", and "Inspirational !" Come and find yourself transformed! HOW CAN WE KEEP THE COST SO LOW? Both CSA and Camp Wightman are nonprofit organizations, which helps keep costs down. of what similar programs typically charge. WHAT: A weekend of total immersion into the world of songwriting, in a beautiful rustic setting that is conducive to learning and creating new things. A window into your own creative self like you've never had before. You will get College Level Master Classes in all aspects of the craft and business of songwriting, based on the groundbreaking concepts of "Songcrafters' Coloring Book: The Essential Guide to Effective and Successful Songwriting", plus real Level 3 critiques of your songs. Guaranteed to give you practical and actionable tools and techniques for helping you optimize your songs and take your writing to a new level. This concentrated immersion in the songcrafting process will provide more information in 2 days than you would get in several years of monthly meetings and workshops. Folks ask how we can offer all that for such a small cost? -- CSA is a non-profit educational organization. The primary mission is to help songwwriters and artists reach their goals. -- Part of the program is supported by grants. Thus, you get a complete high quality retreat experience at a tiny fraction of what many other retreats charge. The information and insight presented here was developed exclusively by Bill in more than 30 years of working with thousands of songwriters, including many of the top names in the industry and is not available anywhere else. You will not find more down-to-earth, practical, and well-researched information under any one roof. Many of these techniques have never been presented before, anywhere. 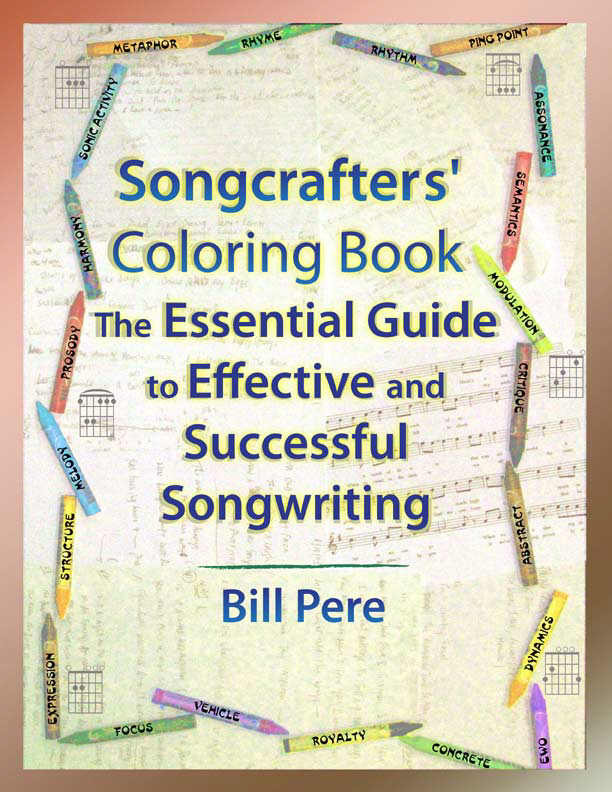 Bill is widely known as one of the best songwriting coaches and critiquers in the industry today. There will also be sessions with nationally known vocal and creativity coach Kay Pere. Bill and Kay have won numerous national awards and are regular presenters at national songwriting conferences and workshops from coast to coast. They collectively have more than 50 years of experience in the music business. 1. What level of writer or style of music is this suitable for? 2. What are some of the topics that will be covered? 3. Will there be time for informal song sharing and performing? 4. Will we have song critiques? 5. What have others said about the retreat? 6. What will the schedule be like? 8. What are the sleeping facilities? 9. What are the meals like, and can dietary restrictions be accommodated? 10. Can I bring food? 11. Does the camp have cell and internet service? 12. Can I go walking along the lake and trails? 13. What if there is snow? 14. Is the facility wheelchair/handicapped accessible? 15. How do I get there? 17. How do I register? The concepts presented here are designed to work across any style of music, for any target audience. These techniques can be applied by any songwriter, whether they are just beginning or whether they have been writing for many years. The goal is to take whatever level you are at, and elevate it to a new place. We will look at the five main groups of songwriting parameters: The semantic, phonetic, prosodic, structural and music elements, and how to improve the effect of each of these in your writing. We'll look at how each of these affects an audience, and how you can make informed choices about how you want your songs to be received. In the area of song pitching and promotion, we'll look at the powerful concepts of Ullage and the Four Faders, and how these can become part of your songcrafting process. We will look at Level-3 critiquing and Song Mapping, and how you can learn to more objectively analyze your own songs. We'll do individual mentoring, vocal and creativity coaching, and address any topic that you want to have covered, in the time we have. Absolutely! Workshops by day; Enjoying each others' music by night! 4. Will we have song presentations and critiques? The evening time is reserved for presenting your songs (live or recorded) for constructiuve feedback. We will also schedule one-on-one in-depth critiques with you at your request. For some of the specific workshop topics, see the table of contents of Songcrafters' Coloring Book. The precise topics will be determined by the group but will include prosodic, sonic, semantic, and music parameters, collaboration, business considerations, and brand promotion. There will also be workshops on vocal technique and creativity coaching, led by Kay. One-on-one time is available for everyone if requested. 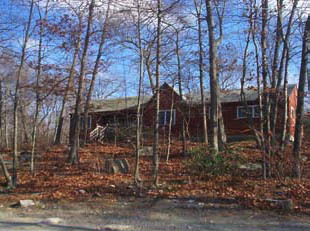 Camp Wightman is a 260-acre camping and retreat facility owned and operated by the American Baptist Churches of Connecticut. It is a wooded, natural environment on Billings Lake. There will be no traffic noise, no bright lights, no distractions other than birds and wildlife. The camp entrance is almost 2 miles off the main road, into the woods. 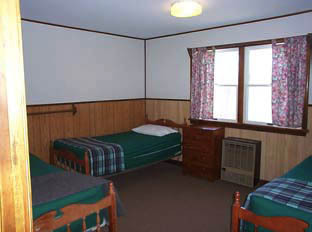 The retreat house is fully modernized, with kitchen, 2 full baths with showers, individual thermostats in the bedrooms, and a central meeting room with fireplace. There is also a first aid facility, and several other retreat houses for other groups. The beds are made up with a fitted bottom sheet, a blanket and a pillow and pillow case. You'll need to bring your own top sheet, and any other covers/sleeping bag. Remember that although this is early Spring, it's likely be on the cool side. Thiis is the small retreat building layout. We will have much more space than this in the larger building. 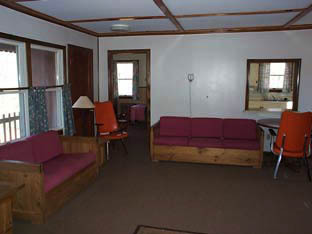 In addition to the retreat house, we will be using the separate facilities in the dining hall and the program hall. The camp has an excellent food service (Kay and Bill have eaten more than 100 meals there). Meals are tasty and filling, , homecooked family fare, buffet-style. IF YOU HAVE ANY DIETARY RESTRICTIONS: The camp will make every effort to accommodate dietary restrictions like Vegetarian preferences, or food allergies as long as we have that information in advance. After that, we cannot guarantee that they can meet your needs. Please get any food restriction information to us as soon as possible. The retreat house has a full kitchen. Our meals are provided at the Dining Hall for all of Saturday and for Sunday morning. Please be aware of others' food allergies, and if possible, label your ingredients so fols know if it's okay for them to eat. You may bring additional food if you wish, and you can certainly bring snacks to share. NOTE: CAMP RULE and CSA RULE: Absolutely no alcoholic beverages permitted on the retreat grounds. Also, there is no smoking in any of the buildings. Most cell phones work at camp. Since we are in the woods, it depends on your carrier, but you'll probably be able to find a working spot if not right at the retreat house. There is a wireless internet network in the buildings. Yes, you have free access to all 260 acres if you want to find some inspiration in nature. Hopefully, by this time in Spring, we won't have any, but, it is possible. As long as the Camp makes the road accessible, we will hold the retreat, as we have indoor, winterized facilities. If the Camp cannot make the road accessible, they will refund all payments. We will post any relevant information on the website, and provide a phone contact for all registrants to check on status. Unfortunately, being in a rustic woodland setting and moving among different buildings, the facility does not readily lend itself to wheelchair/handicap accessibility. We are sorry about that. If you need very specific information, contact us at info@ctsongwriting.com. ALL SLOTS USUALLY FILL IN ADVANCE, SO REGISTER EARLY! Limited to 12 slots for your individual attention. COSTS: The cost listed below includes lodging for 2 nights, meals, and all workshops. This is one of the best values in the music industry today!. Note: If you have to arrive late or leave early, we cannot make cost adjustments). Also, please read the refund policy below if you register but cannot attend. To Register by mail. send check based on the rates below to: CSA, PO Box 511, Mystic CT 06355. ONLINE REGISTRATION IS SAFE AND SECURE. All Major credit cards accepted. You do not need a PayPal account to register. Please select the appropriate date and member status from the drop-down list below. CAPE MAY CONFERENCE ATTENDEES -- email info@ctsongwriting.com to get a special conference rate. (a) If the retreat is cancelled for any reason, you will receive a full refund. you will receive a full refund. After January 1, 2019, payments are non-refundable. away, so that your spot isn�t already given to someone on the waiting list. You've got lots of time to plan ahead to arrange your schedule and budget to take advantage of this opportunity. Register early for maximum discount and to guarantee your place.